So, the number 1 question I’ve been asked this week is this…Are you ready for the marathon? My answer? Yes, I think so. Never thought I’d reach that point where I could say that and mean it. However, that is the answer that kept coming out. It feels so strange to say. I am ready to run a marathon. WOW! How did that happen? Lots and lots of miles training. That’s how. In 2013, I logged 636 miles of training. Already, in 2014, I’ve logged 20.5 miles. All of the miles I’ve run this week came in 2014. So, let’s look at how my final week of training in California panned out. I didn’t get to a run or a gym workout on Monday and Tuesday. So, there was no closing the year kind of work out. Instead, I registered my first workout on January 1, 2014. I ran 6 miles to start the new year off right. Since I live so close to the Rose Parade route, I decided to have some fun with this 6 mile training run. It was no ordinary 6 miles. 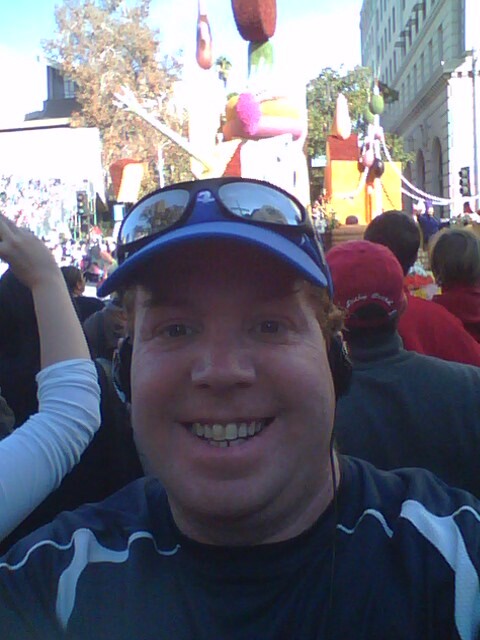 I ran 2.5 miles to get to the parade route. Then, stopped off to see some friends and watch some of the parade. Then, I went and ran another 2 miles. Stopped to watch some more of the parade. Then, finished with another 1.5 miles. So, my overall time running didn’t match the overall time I spent finishing. However, it was super fun and a great way to start the new year. I blogged about it on January 1st. So, for more on that run, you can go back and check that out. On Thursday evening, I completed my last night-time training run over the usual 6 mile loop. It was a run that felt so amazing! I was so bummed out about how many red traffic lights I came across because it showed a much slower time than I could have done. Oh well, I’ve learned not to be too concerned when traffic lights are the reason for slower times. 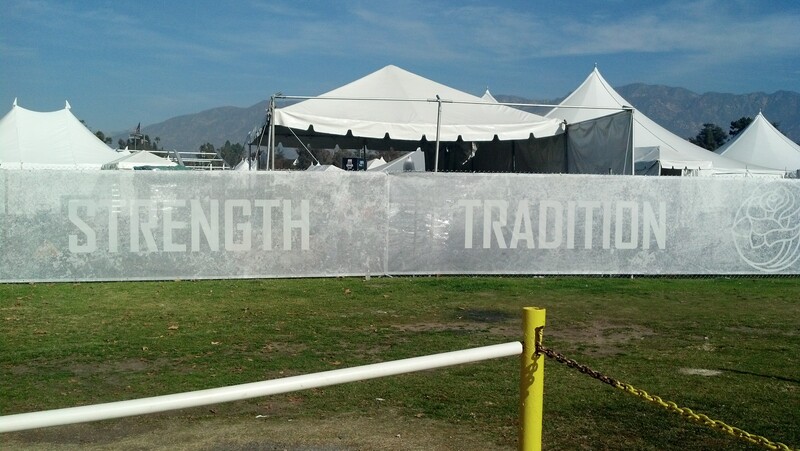 I felt strong throughout the entire run. Even the 5th mile, which gets difficult, was not that bad. 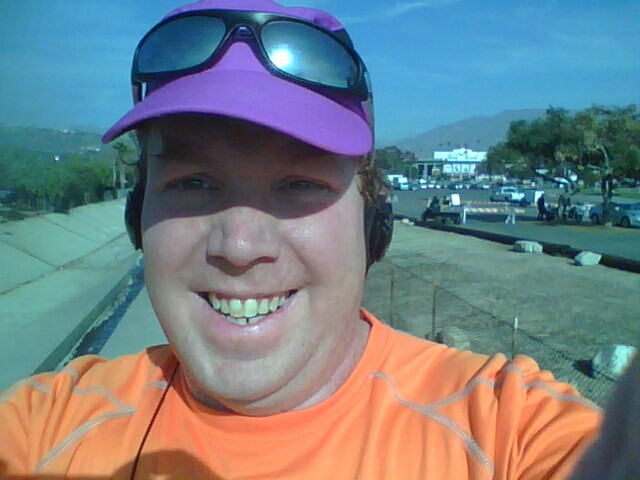 I conquered the hill at the end of the mile with relative ease. Sometimes distractions really help out. As I was on that hill, I was distracted by the fact that it was my last time climbing that hill before the marathon. Anyways, as I said, it was a fantastic 6 mile run that left me feeling strong. On Saturday, I added 1.5 miles to what was in the Jeff Galloway training plan. 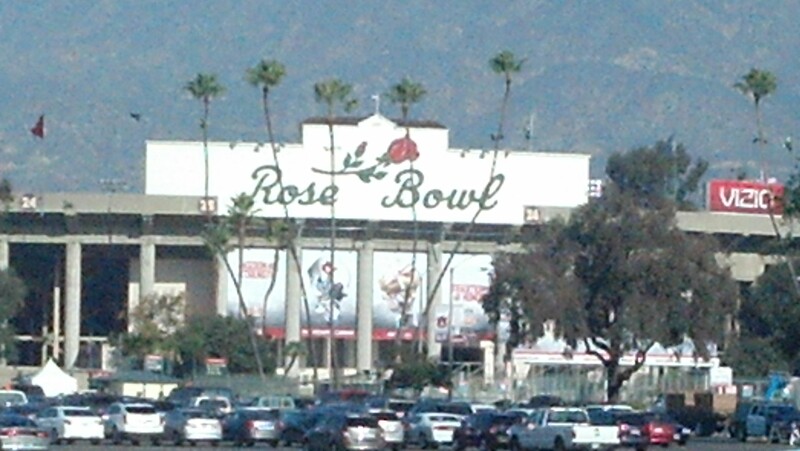 I did so because the last BCS National Championship game will be played at the Rose Bowl tonight. 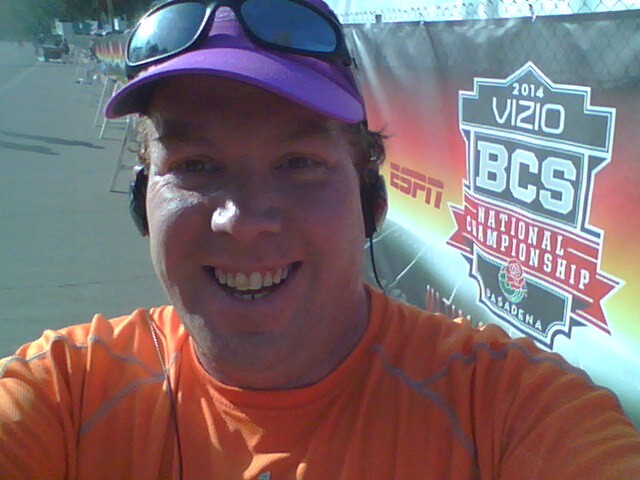 Knowing that, I checked out the distance on Map My Run to see how much I would be adding if I took my run to the Rose Bowl. 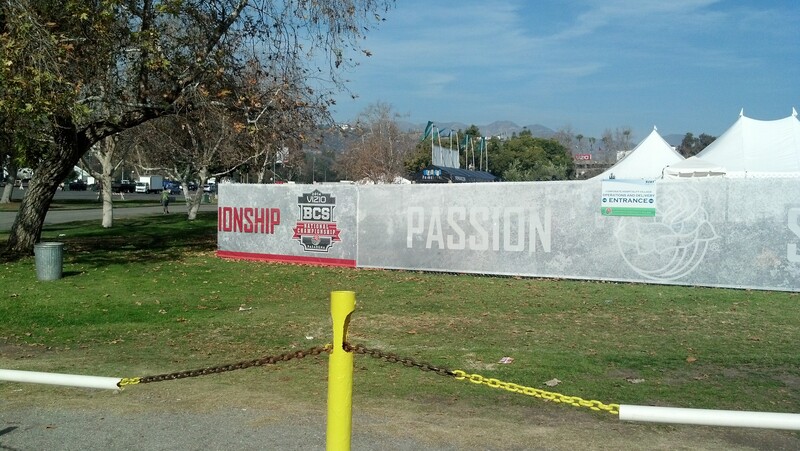 Since it only added a little over a mile to the distance, I felt like I needed to take my run to the Rose Bowl to check out the preparations. This was not my typical run that included the Rose Bowl. 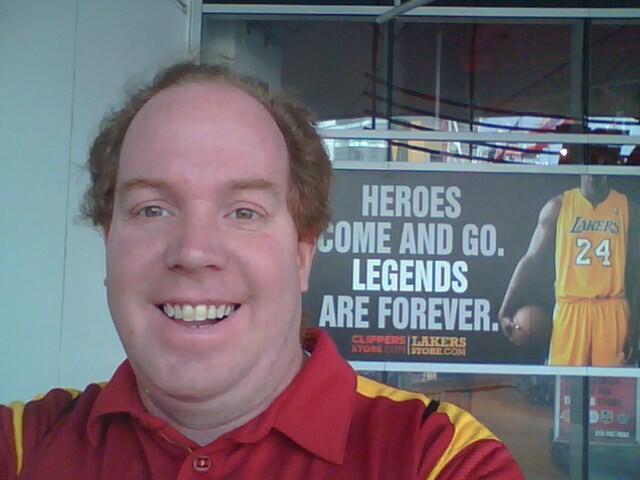 I didn’t head off to South Pasadena before making my way to Orange Grove Blvd. 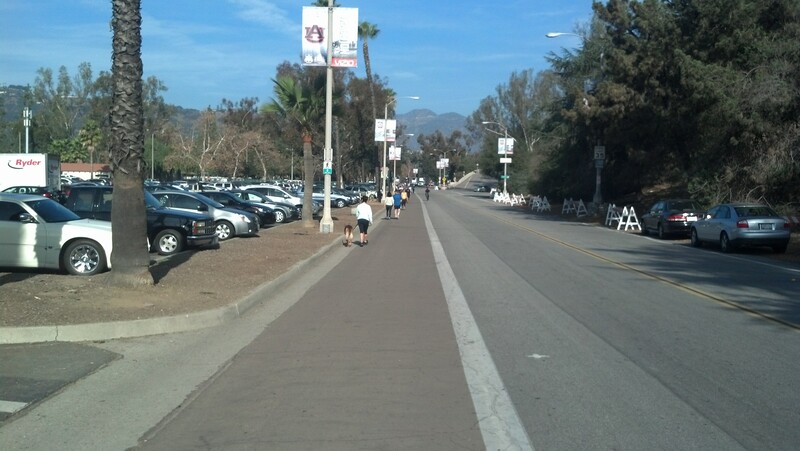 So, that cut out like 2 miles before reaching the Rose Bowl loop. It’s amazing how cutting those miles out helped. The first couple miles were on the slow side. I didn’t really care. I was trying to feel out slower pacing on this run. Also, the focus of this run was to have fun and enjoy the Southern California sun! Runners, walkers, and cyclists were out and the loop was open! Score! If the loop wasn’t open, I would have just figured out a way to make my 7 miles. However, now I didn’t have to worry. 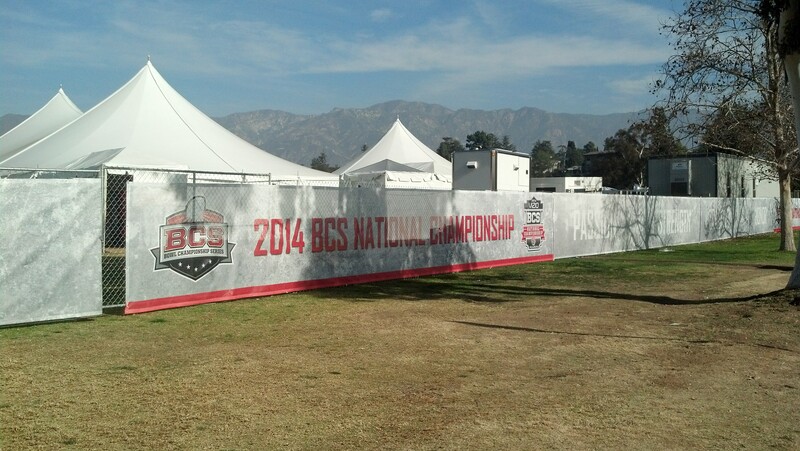 When I saw the BCS sign, I got out my phone for the selfie that you see two pics above. One thing I was testing out on this run was a new arm band for the phone. It worked out great!. I decided to keep the phone out in case there were some fun places to take some pictures. Running around the loop was pure joy for me. I felt like I must have been smiling the entire 3 miles of the loop! It was seriously that awesome! These were awesome words to be reading while running. Checking out the area provided me with some fun distractions. This run went so well for me! Even the two hills I needed to climb to get back up to Orange Grove Blvd. didn’t stop my intervals. 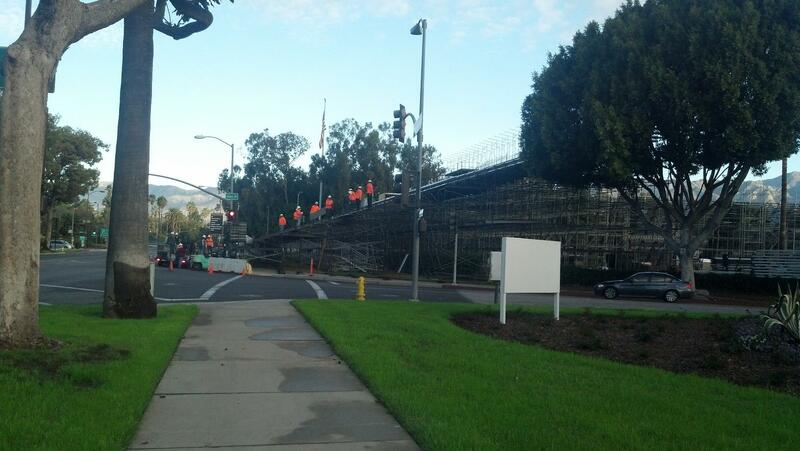 However, the unexpected crowds of people in Old Town Pasadena did get in the way of my intervals. Oh well. This was supposed to be a fun run after all. So, my finish time is a bit on the slower side for me. However, what I lost in speed, I made up for in fun. I finished with a huge smile on my face. The last mile, I thought a lot about how far I’ve come in this journey towards the marathon. Yes, 47 degrees will be the high in Orlando tomorrow. That’s freezing cold for this Southern Californian. I had thought about getting in one last shake out run tomorrow after we arrived. However, with temps that cold, I think I’ll wait until Wednesday evening. I’m also not super happy about 81 degrees on Marathon day. However, it will be what it is. I’ll do whatever I need to do in order to finish. That’s the goal after all. As long as I finish, I will have a Marathon PR by sometime Sunday afternoon. The weather will be perfect for a day at the Magic Kingdom on Monday to celebrate my marathon finish! 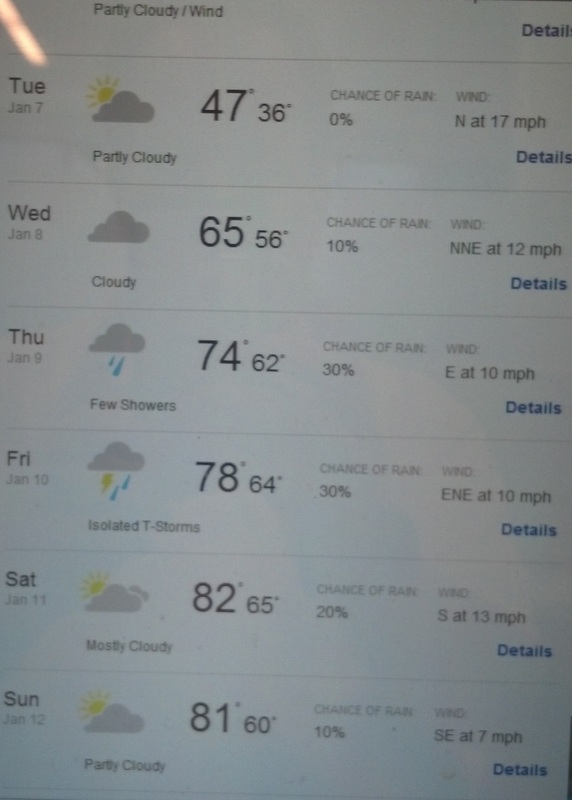 It will also be nice for our last day in Orlando (Tuesday) as well. 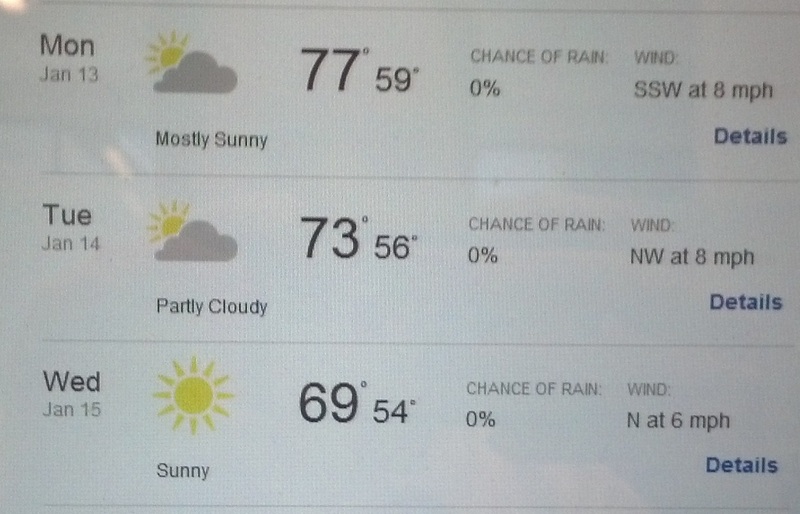 The overall weather for the trip will be pretty close to ideal. The last time I was at Walt Disney World was on my honeymoon (August 2009). It was much warmer in that summer month. I had a crazy weekend of getting everything ready for the trip. Hopefully, it will all work out in the end. Since I’m not sure how often will get to post on this blog for the remainder of the week (although, I do intend to post as often as I can), here is a peak at what I will be wearing for my two races. 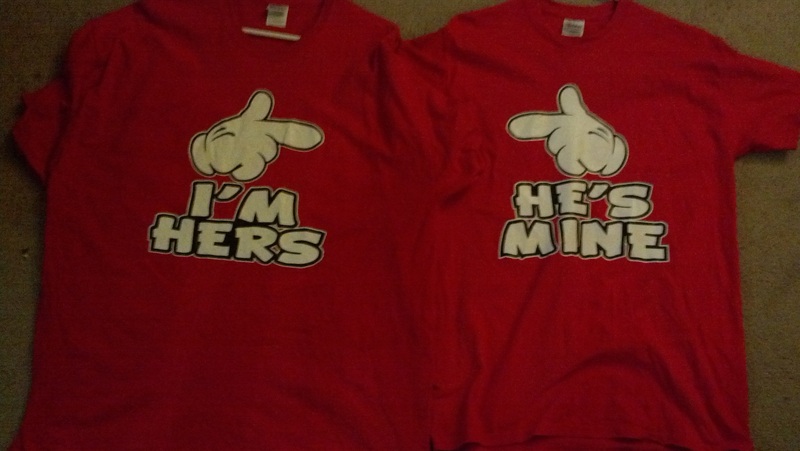 On Friday, the wife and I will be sporting these shirts as part of our race attire. I’ve got a Mickey Mouse black baseball hat that I’ll wear and black shorts. My wife will be sporting a Minnie Mouse hat. There was a baseball hat I wanted for her that I saw at Disneyland that wasn’t sold at the World of Disney store in Downtown Disney. So, we bought another hat that could work. However, we’re hoping that maybe the same hat will be sold at Walt Disney World somewhere. 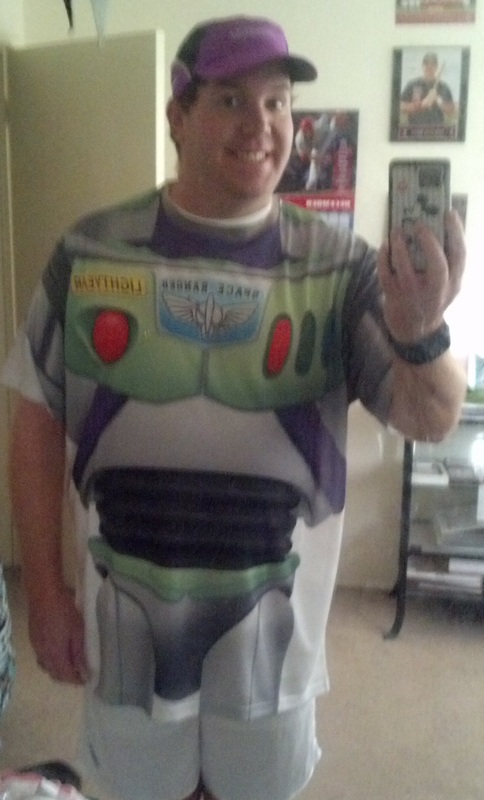 For the marathon, I’ll be going as Buzz Lightyear…To Infinity and Beyond! 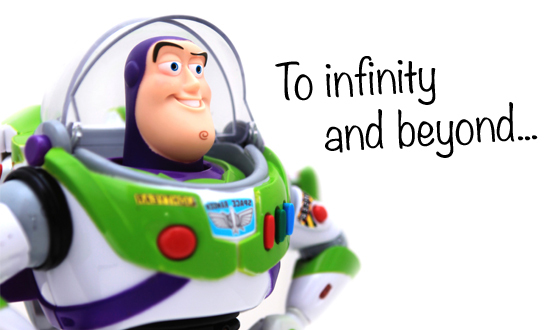 26.2 miles will sure seem like going to infinity and beyond. Also, with Buzz being my second favorite Disney character (no one tops Mickey Mouse), it seemed like a good choice for me. Plus, with the temps in the 80’s, the white will probably be a fantastic choice as well. As I’m in Florida, I will try to post on the blog when I can. However, you are more than free to follow along on Twitter for instant updates. I am planning on live tweeting the marathon this coming Sunday. The marathon begins at 5:30am EDT. I’m in corral L. So, I probably won’t be starting until closer to 6am or later. The plan, at least for now, is to post a picture at each mile marker. Feel free to follow along. 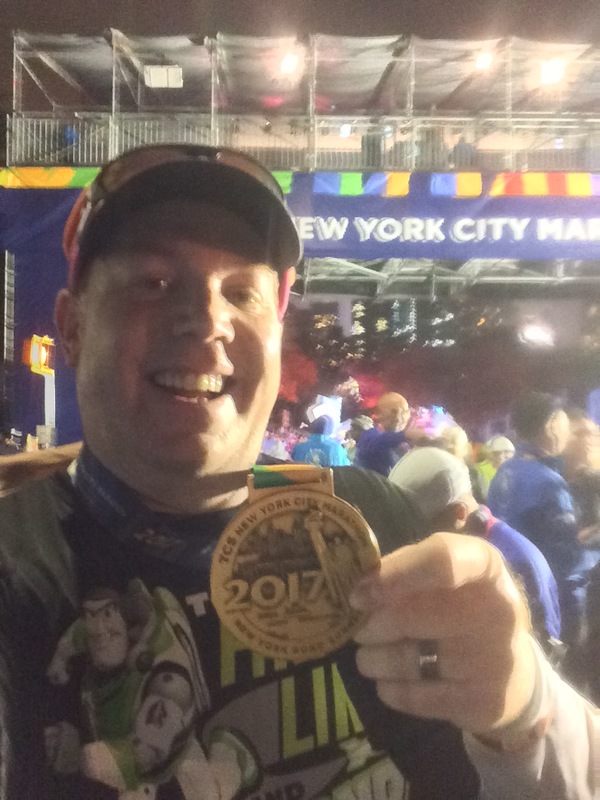 Also, if you are going to be at Walt Disney World for Marathon Weekend and you see me around, please say hello. That’s all for now. As strange as it seems to be able to say this…BRING ON THE 2014 WALT DISNEY WORLD MARATHON! I’m ready!